Please login to access file manager.Same Day Leaflet Printing in the Heart of Manchester. Whether you need sameday leaflet & flyer printing or are looking for a 5-working days budget solution, MuPrint is here to serve you. The MuPrint shop is at Liberty Central (ex-Victoria Hall) behind RNCM – about five minutes walk from Oxford Road where your leafleting team hang out – so just ask them to pick up from us directly to save you the bother! If you really want it couriered, we can do that too for a little extra – it’s nay bother to us! All our papers are of the highest quality. You also have a choice on what thickness you’d like. For the highest quality digital outputs, visit a real shop in Manchester. 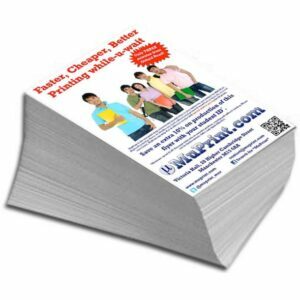 MuPrint specialise in same-day printing to hit your tight deadlines. We also offer competitively-priced print solutions for customers who just want the best possible presentations.